Lady Caroline Lamb: Mad, Bad, and Dangerous to Know? The premiere of Victoria on PBS has introduced American TV viewers to a swoon-worthy version of William Lamb, lord Melbourne--"Lord M.," as the young Victoria calls him, though I don't recall his name being used in the series. There are also several allusions to an unnamed wife who disgraced Melbourne--mad, bad, and, for him at any rate (at least according to this TV drama), dangerous. Her scandalous behavior and death have devastated him. Most biographers have shared Byron’s frustration at Lady Caroline’s failure to conform to the feminine role of her era. They have not hesitated to prescribe a "sharp slap judiciously administered" (thus, Dorothy Marshall in Lord Melbourne [1975)) [sic], or even an out-and-out beating — as recommended by Henry Blyth in Caro: The Fatal Passion (1972). My goal in this brief post isn't to attempt a restoration of Caroline Lamb's image. But I do want to note that, aside from her relationship to men--her father, her husband, her disabled son, her lovers--she was herself a writer. 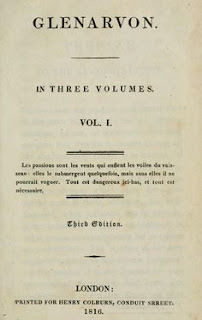 Her first novel, a roman à clef, is Glenarvon, published in 1816. Although Glenarvon was wildly popular for its thinly disguised story, it contains a great deal of political and social commentary. 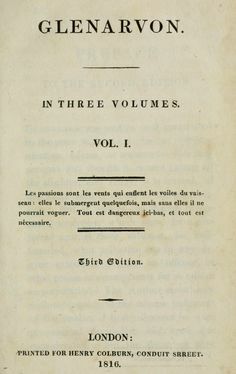 In addition, Lamb mimicked Byron's wildly popular Don Juan by publishing A New Canto in 1819, followed, in 1821, by Gordon: A Tale. A Poetical Review of Don Juan, described in the preface as "partly a burlesque parody on the style of Don Juan; partly a sacrifice of praise offered at the shrine of talent, and partly arguments proving its immoral tendency." Finally, there are also her commonplace books and correspondence. A 1995 Everyman's edition of Glenarvon (ed. Frances Wilson) is out of print, but copies are available. All of Lamb's fiction is accessible for free, however, at a variety of sites and in several different ways: Kindle editions, Google Books, and the Internet Archive. An edited collection of Lamb's letters is in print: The Whole Disgraceful Truth: Selected Letters of Lady Caroline Lamb, edited by Paul Douglass. You can explore A New Canto online in an edition by Peter Cochran--to access it, click here. 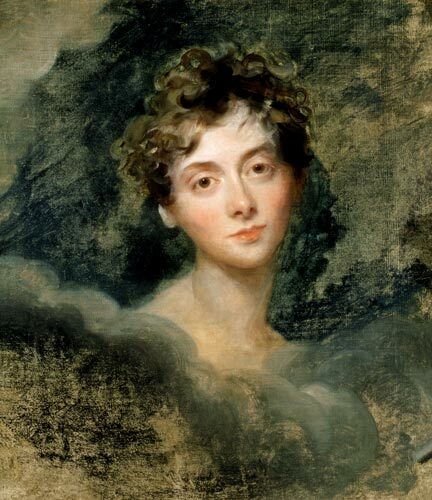 And while I recommend Paul Douglass's wonderful (and sympathetic) biography of Lamb, his website--CARO: The Lady Caroline Lamb Website--is superb and includes incredible biographical essays, analyses of her literary works, the extensive bibliography I noted above, and many more resources. Today is the anniversary of the landmark Roe v. Wade decision--it took the Supreme Court to ensure that American women had some measure of control over their own bodies. But today women's reproductive freedom is under threat like never before in the more than forty years since 1973. The first notable march on Washington undertaken by women--in support of suffrage--was in 1913, one day before the inauguration of Woodrow Wilson. 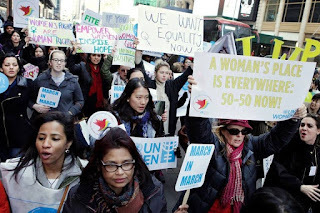 And there was the Women's Strike for Equality on 26 August 1973--the biggest turnout may have been in New York, but over a thousand women marched in Washington D. C.. This nationwide strike was scheduled on the fiftieth anniversary of the passage of the Nineteenth Amendment. Just four years later, on 26 August 1977, there was the Alice Paul Memorial March--Alice Paul had proposed the Equal Rights Amendment in 1923, and it still hadn't been passed. This march was in support of the amendment's passage. 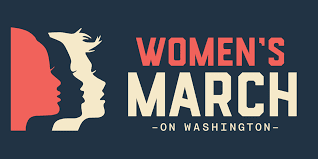 A year later, on 9 July 1978, some 100,000 women demonstrated in Washington D. C., again in support of the Equal Rights Amendment--it was "the largest march for women’s rights in the nation’s history." 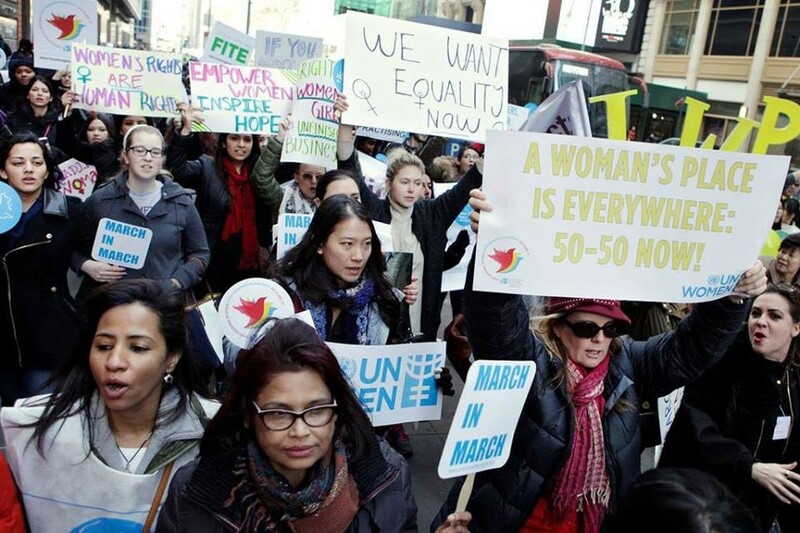 Numerous marches to support women's equality have followed, beginning in 1986. But, of course, the Equal Rights Amendment was never passed, and here we are. It is now 2017, and women's rights are still not guaranteed under the constitution. 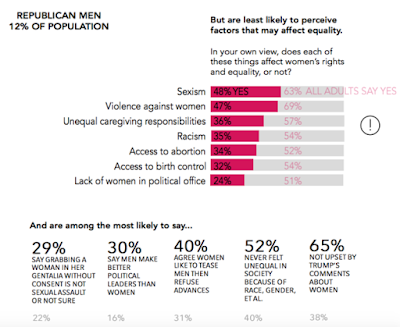 And reproductive rights--including those guaranteed under Roe--are threatened. Yesterday's Women's March was held on the day after the "presidential inauguration"--and it neatly coincides with the anniversary of the Roe. v. Wade decision (decided 22 January 1973). It's going to be a tough time for women in this period of "making America great again." Don't forget. Don't give up. Stay strong. For Parts 1 and 2 of Back to the Future, click here and here. Vera Rubin, the "Mother of Dark Matter"
The American astronomer Vera Rubin (born 23 July 1928) died on Christmas day of this year, and unlike so many women about whom I've posted over the years since beginning this blog, her death (and, more important, her life) did not go unnoticed. Major news outlets highlighted her death, with sources like The New York Times and The Washington Post publishing significant stories prominently in both print and digital editions. PBS and NPR also broadcast stories about Rubin's life and work, as did the BBC, major American networks, and online sites like Slate and The Huffington Post. Mashable, the self-styled "global, multi-platform media and entertainment company," eulogized her as a "badass astronomer and feminist icon," while the more restrained Astronomy Magazine confined itself to calling her a "pioneering physicist." 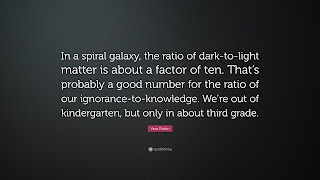 Rubin's great contribution was to the theory of dark matter--and after reading all the announcements of her death, I had to admit to myself that my background in literature and history did't really give me the ability to grasp the concepts with which she was working, much less to assess her work. I'll let Dennis Overbye, writing for the Times, give you a sense of her accomplishments: through her work, she "helped usher in a Copernican-scale change in cosmic consciousness, namely the realization that what astronomers always saw and thought was the universe is just the visible tip of a lumbering iceberg of mystery." What I did notice, in every article, was the reference to Rubin as "breaking" or (in the words of the Sarah Kaplan, writing for the Post, "toppl[ing]") gender barriers, a woman who (in Overbye's words), "opened doors for women," and (in Kaplan's words), "changed science." Well, okay, I guess. But what also became increasingly clear, as I worked my way through the pages on Google, was that for all this talk of breaking (or toppling) barriers, changing science, and "clear[ing] the way for countless other women," Rubin faced the same old same old: barriers, obstacles, sexism, suspicion, and ridicule. And I also noticed something else. Once I got past the most recent mentions of Rubin, all written on the occasion of her death, I found an array of earlier pieces, written during her lifetime, and written recently, showing how little things had changed even for this most brilliant of women. In noting Rubin's death, Rachel Feltman, writing for Popular Science, made the point in the title of her piece: Rubin was "the woman the Nobel Prize forgot." 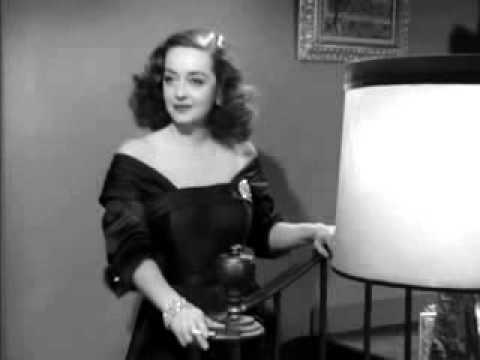 She was never recognized in this most prestigious forum for "her work on dark matter." Last year, in a June 2016 article in Astronomy Magazine, Sarah Scoles asked, "This famous astronomer carved herself a well-deserved place in history, so why doesn’t the Nobel committee see it that way?" There was a Facebook page, "A Nobel Prize for Vera Rubin" created in 2015. Even today, two weeks after Rubin's death, the page has a mere 220 likes. The page was part of a "grassroots campaign" to garner recognition for Rubin's work. There is/was also a Twitter hashtag: #NobelforVeraRubin. 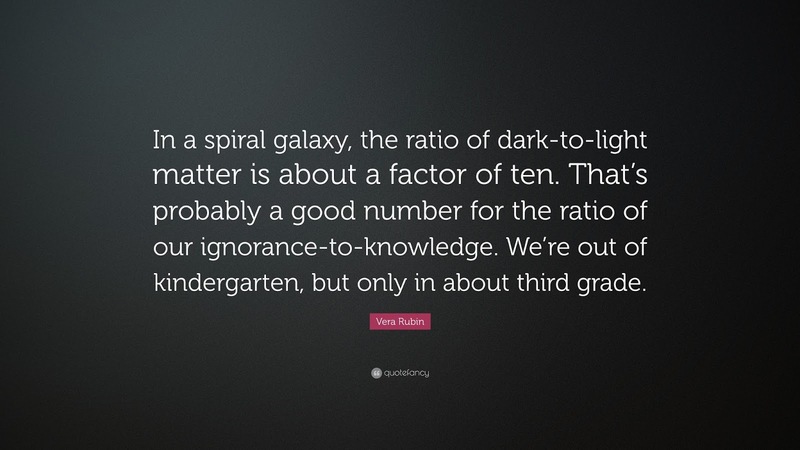 In reading these pieces, I note that Rubin was something of a "favorite" for winning a Nobel as early as the 1980s--and that in 1990, in an interview in Discovery, her response to the question was diplomatic: "My numbers mean more to me than my name. If astronomers are still using my data years from now, that's my greatest compliment." I won't add more complaints or bitchiness here--that doesn't seem to be in the spirit of Rubin herself. And I won't list her many accomplishments and awards--you can easily find them for yourself. And now, you must turn your chairs to face the future. You are concerned tonight with more than the fate of atoms. You need jobs, admissions to graduate schools, research support; you want a healthy planet, space, choices. Individually, you will be called by many names: spouse, partner, teacher, professor, writer, representative, president, CEO, doctor, judge, regent. Some will be called scientists. For those of you who teach science, I hope that you will welcome, as students, those who do NOT intend to be scientists, as well as those who DO. We need senators who have studied physics and representatives who understand ecology. 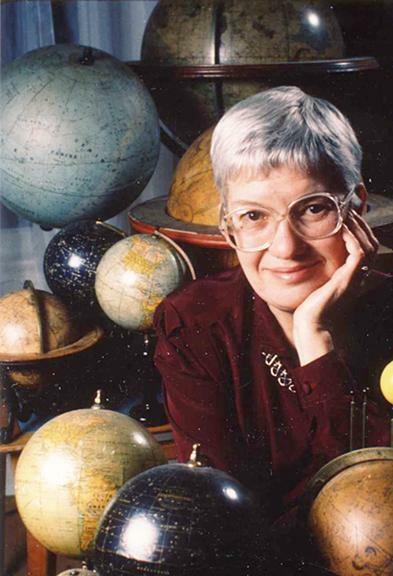 In addition to the obituaries, I recommend Lisa Randall's op-ed, "Why Vera Rubin Deserved a Nobel, published in the 4 January 2017 New York Times (click here). Physics isn't the only field with a dearth of female Nobel laureates. According to the Nobel Committee website, 171 people have won the Nobel Prize in chemistry, and only four have been women: Marie Curie (1911), her daughter Irène Joliot-Curie (1935), Dorothy Hodgkin (1964) and Ada Yonath (2009). Women have fared a bit better in medicine and literature. Out of the 211 total recipients of the Nobel Prize in physiology or medicine, 12 have been women. And of the 112 total recipients of the Nobel Prize in literature, 15 have been women. Women have picked up 16 Nobel Peace Prizes of the 129 that have been awarded to either individuals or organizations. The Nobel Prize in economics, which has existed only since 1969, has honored only one woman of the 76 laureates. An ardent supporter of the Royalist cause, a smuggler and a spy for the English king, Charles I, and, most likely, his lover, Jane Ryder was born in 1612, the daughter of William Ryder, a member of the Scots gentry, and Elizabeth de Bonfyn, originally from Antwerp, a member of Queen Anne of Denmark's court. After William Ryder's death in 1617, his widow remarried, her new husband another Scots courtier, James Maxwell, a confidant of King James's son and heir, Charles. Jane Ryder and her sister, Anne, were joined by two half sisters, Elizabeth and Diana Maxwell. Nothing is known about her childhood training, but her letters (and later activities) suggest some degree of education. In 1634, Jane's family arranged her marriage with Brome Whorwood, heir to an estate near Oxford. The marriage was not a happy one, but it nevertheless produced four children, two of whom survived, Brome and Diana. In 1642, as the civil wars began, Brome Whorwood decamped for the continent, leaving his wife and children behind, along with any political allegiances or loyalties. Meanwhile, the royal court relocated to Oxford, and Jane Whorwood, unlike her husband, became an active participant in the civil wars. Using her family's contacts, she smuggled various items for the king--gold as well as more personal items, like Charles's stockings. During the 1640s, Whorwood established a network of spies in order to gather needed intelligence for the king, she herself frequently carrying information on behalf of the royalist cause. 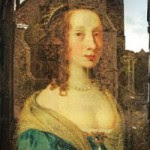 After the king fled Oxford in 1646, Whorwood continued her efforts on his behalf. Despite the collapse of royalist forces and the capture of the king, she remained true to him. [the king] spent exactly 12 months on Wight, at Carisbrooke Castle, first in open "protection," then under close guard without right of contact. Jane Whorwood brought him intelligence, ran a correspondence network for him to London and Edinburgh, and managed plans for his attempted escapes in March and in May. Both attempts failed, the second stranding Jane in serious danger for 5 weeks in the Medway waiting for the King to join her boat; around her the fleet mutinied and Kent county rose in rebellion. She had smuggled gold and intelligence for him, and her final plan was to smuggle him in person to Holland, but it failed. The Marquis of Hertford paid her a tribute afterwards: "had everyone played their parts like Whorwood, the King would now be free." Recent scholarship has revealed evidence of the intimate relationship between Whorwood and the king in 1648 while he was in Carisbrooke Castle. In 2007, Sarah Poynting's work on the ciphers Charles used revealed the sexual component of their relationsip. Fox's The King's Smuggler: Jane Whorwood, Secret Agent to Charles I, provides a full account of her efforts on the king's behalf and details their relationship. After the king's execution in 1649, Whorwood's life collapsed. She was forced to return to her husband, who had come back to England (bringing his mistress with him), Not only faithless to his king, he was violent and abusive to his wife. In addition, Brome Whorwood's mother, Ursula, blamed Jane for her son's violence--none of it would have happened if Jane "had she been a better wife." In 1651, Jane Whorwood was imprisoned for her efforts on behalf of the king. Once she returned to her husband's household, he confined her too. By 1653 she had left him, moving to the home of her mother, but she ultimately went back to her husband, who retained custody of their children. In 1657, after the death of her son, she separated again from Brome Whorwood, the two entering into an extended conflict that would last the rest of their lives. Brome Whorwood became an MP in 1661, just after the couple separated on grounds of her fear of death from his manic violence. She was awarded alimony, only a fraction of which Brome paid, despite repeated orders from the Crown, the Lord Chancellor and the Archbishop of Canterbury. The accounts of the violence, her injuries and her struggle right up to her death to obtain her awarded alimony, are preserved in Lambeth Palace and in State Papers. Brome took up with a servant whom he appointed governess at Holton. He demanded of Jane a 3-way relationship; she fought back, defied the judgement of Charles II and demanded action from sluggish bishops. She stood before the Bar of The Commons to demand member’s privilege (as a spouse); she took Brome before Chancery repeatedly. The neighbours from Holton estate village and staff from the House took her side in and out of court. Stories were still being told in Holton of the horrific violence at the House well into the 19th century, a surviving folk memory within a closed community. She spent much of the period of separation 1659-84 in London. The battle between the two, husband and wife, ended in 1684, when Brome Whorwood died in April. 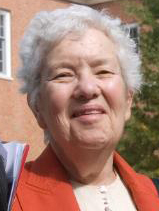 Jane Whorwood's death followed soon after, in September. No portrait of Jane Whorwood survives, but she was describedin 1648 by a fellow spy, Anthony Wood (who worked on behalf of parliament) as "a tall, well-fashioned and well-languaged gentlewoman, with a round visage and with pock holes in her face." In 1672, he added that she was "red haired " as well as "exceedingly loyal." She had "understanding," "good judgement," and was "the most loyal to King Charles in his miseries of any woman in England." The portrait above is of Jane's half sister Diana, whom she is said to have resembled. In addition to the work of Fox and Poynter, to which I've linked, above, you might also enjoy "Most Loyal in Misery," novelist Jemahl Evans's essay on Jane Whorwood. Back to the Future--Making America Great Again for Women! In the kick-off to a year when American women will almost surely face challenges and set-backs and hostility on a number of fronts, it is important to remember that women are still woefully under-respresented in the U. S. Congress. 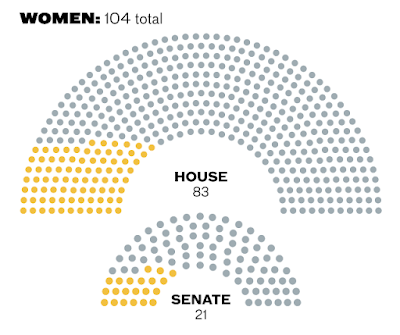 Only 19 percent of the members of the new Congress are women. Yup, that's right--19 percent. Of the 535 members who will take their seats when the 115th U. S. Congress convenes today for the first time, only 104 of them will be women. And that's exactly the same number as in the last congress. Women made no gains at all in representation. Numerous sources proclaim--accurately, to be sure--that this will be the most racially diverse congress ever (see, for example, Christina Marcos's piece in The Hill). And while this is a good thing, it's important also to note that these "record" numbers are still pretty lame: 49 African American members (up from 46), 38 Hispanic members (no change), 15 Asian American members (up from 11), and two Native American members (no change). (For a profile of members of the 114th U. S. Congress, click here). In other words, 102 men and women of color will hold seats in the 115th U. S. Congress--19 percent. For the record, racial and ethnic minorities account for 39 percent of the U. S. population. (For the Kaiser Family Foundation's March 2016 figures, click here.) And, while many of those candidates of color are women, the new congress is still overwhelmingly white and male (almost 80 percent). In addition to the number of legislators who represent racial diversity, there are 7 LGBTQ members of the 115th U. S. Congress--again, no change from the previous Congress. But, hey, in international rankings, when it comes to the numbers of women in our national legislature, we're tied for 100th place with Krygystan! And, while we might have lost out to Greece and Kenya (tied for 98th/99th place) by .5 of a percentage point, at least we beat out Tajikistan by .2 of a percentage point! Yay us! So, as we look ahead to Making America Great Again, Women's Edition: fasten your seat belts, ladies--it's going to be a bumpy year . . .
Update, January 2018: I'm calling this the "shithole update"--if you check out the list of international rankings, noted above, you can see how many shithole countries in Africa beat the U.S. when it comes to representation of women in their national legislatures . . . Just sayin' . . .